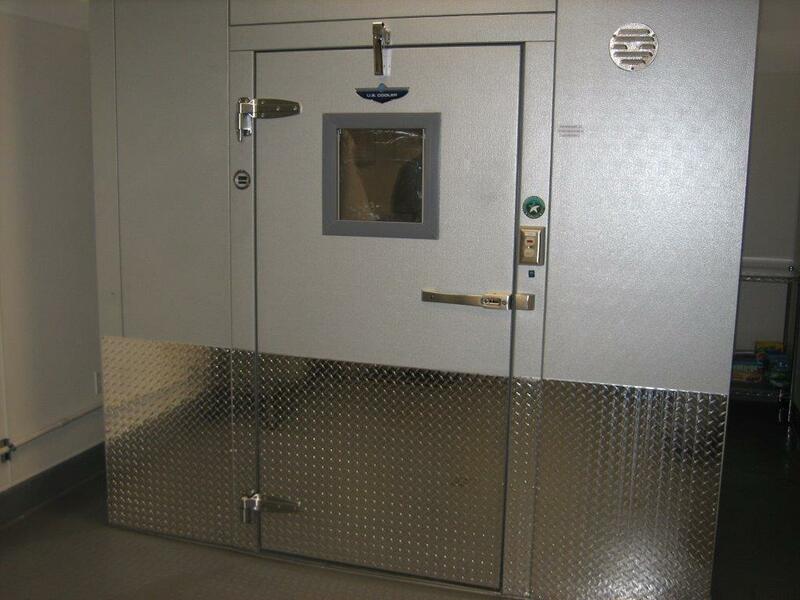 Walk-in Freezer - McDonald Refrigeration, Inc. Walk-in Freezer – McDonald Refrigeration, Inc. 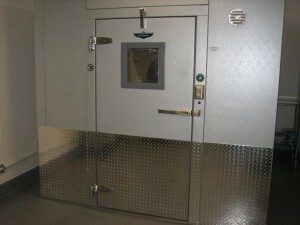 Fish food walk-in freezer for an aquarium research facility. Custom 14′′ heated viewing window, digital thermometer, and diamond plate protection trim. 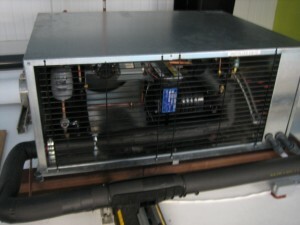 Walk in freezer system runs on a 1.5HP R404-A Copeland semi-hermetic condensing unit, and energy efficient ECM evaporator fan motors. Freezer is designed to maintain storage at 4F. This low profile product line has been designed around environmentally safer refrigerants. Units are available with a choice of compressors: low cost hermetic, efficient and quiet scroll compressors or heavy duty semi-hermetic and discus compressors. Condensing units are ideally suited for use in a variety of commercial applications such as cafeterias, convenience stores, restaurants and fast food outlets.